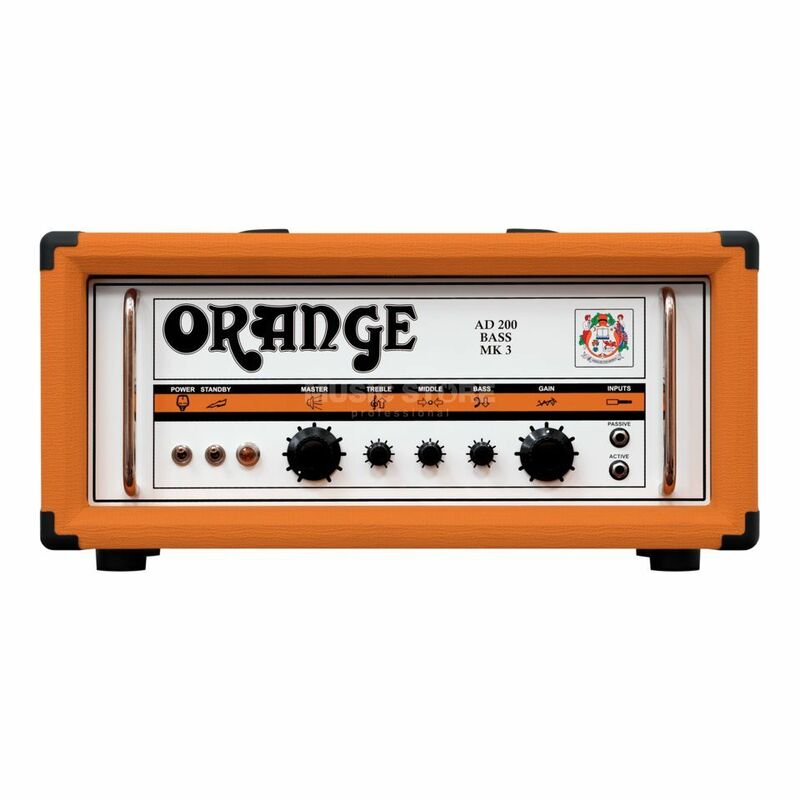 The Orange AD200B MK3 Bass Guitar Amplifier Head is a 200 watt, all valve monster with the ability to produce some of the purest bass sounds known to man. The AD200B MK3 head features a single channel with inputs for active and passive instruments along with a minimalist 3-band EQ. These, coupled with simple volume and gain controls, help to produce an amp that keeps one foot firmly in the past while at the same time looking forward to a wide range of modern tones. The 200 watt, all valve output of the Orange AD200B MK3 bass amp head has more than enough power, gain and volume on-tap to shake any size of venue, making it ideal for use in any situation, be it the local club or the largest of arenas.